Unlike my other books, where my main characters have been in their thirties, when I started writing a cozy mystery, I wanted to write about people my own age, which I won’t reveal for purposes of ego, but since I’m retired, that gives you a general feel. Why write about what some might characterize as a bunch of “old fogies”? The short answer is that I find my peers fascinating. The longer response is in the paragraphs to follow. A few months before I retired, I had the opportunity to consult a retirement coach, because until then, I hadn’t given much thought to what I wanted to do with the rest of my life. All I knew was that I finally had all the time in the world to write. But even the most dedicated author has to free up her brain from time to time, so once I walked out of my state agency for the last time, I surveyed all the activities available to me. It helped to join a social group of seniors. It served as a sort of clearinghouse for information on local and regional things to do. Eating was high on my list, and they offered both monthly dinners and lunches at restaurants in the area. There was also tennis, walking groups, petanque, fishing trips, exercise class, gardening, art, etc. One of the first things I tried was knitting. I’d learned the basics years before but was fortunate in having a friend who was an expert who could get me back on track. I started with washcloths, then branched out to scarves. Even finished two little caps for my grandchildren. I also joined a book club. I try to stay current with the genres in which I write by reading romance novels and mysteries, but this was a chance to learn more about current literary fiction and nonfiction. Of course, it helped that we met for lunch at different restaurants around time. I already mentioned my interest in eating, didn’t I? Then there was mah jongg. That had never occurred to me as a possible pastime when working on my retirement plan, but the chance arose, and it seemed like a great way to meet people. As it turned out, it has become a near addiction. I have learned two versions and now play twice weekly. I used this experience as the heart of my first cozy mystery series, aptly named the Mah Jongg Mystery series, which features four friends who play the game together in the fictional central Florida town of Serendipity Springs. I’ve included some of the activities cited above and others as background. For instance, a critical scene early in the book takes place at the monthly dinner of the social group, the Springers. One of my favorite aspects of this first book is the struggle of one of the friends’ husband to adapt to his retirement. Though he won’t admit it, he misses the structure and feeling of achievement he received from his prior worklife, so he keeps finding new ways to stay occupied. In this book, he takes on a follies production spotlighting local performers. And I’d be remiss if I didn’t mention the number of days a week he’s on the golf course. The one thing I’ve learned about retirement pastimes is that there are as many available as we retirees can dream up. Only two things limit us: having the funds and the health to pursue them. But when you think about it, these are mostly the same pastimes of everyone. The only difference is that retirees have more time to actually enjoy them. 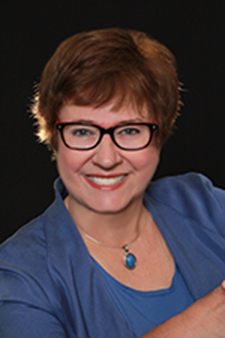 Later, to avoid a midlife crisis, she began writing fiction at night when she wasn’t at her day job as a human resources analyst for Iowa State Government. After releasing eleven full-length romance novels and one novella, she has returned to the cozy mystery genre, using one of her retirement pastimes, the game of mah jongg, as her inspiration. Not only has it been a great social outlet, it has also helped keep her mind active when not writing. 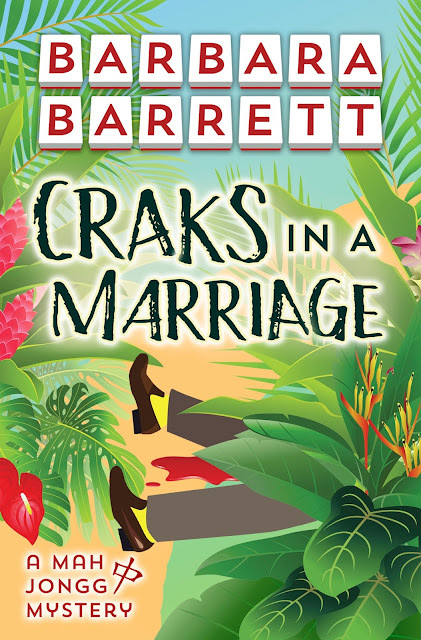 Craks in a Marriage, the first book in her “Mah Jongg Mystery” series, features four friends who seek the murderer of another mah jongg player’s husband before she is charged. None of the four is based on an actual person. Each is an amalgamation of several mah jongg friends with a lot of Barbara’s imagination thrown in for good measure. The four will continue to appear in future books in the series. Barbara is married to a man she met her senior year of college. They have two grown children and eight grandchildren. Now retired, she is a resident of Florida, although she spends her summers in Iowa, her home state. She earned her B.A. degree in History from the University of Iowa and her Master’s Degree in History from Drake University. When not in front of her laptop creating her next story, she plays Mah Jongg, knits, and enjoys lunches with friends.